Samsung Galaxy Note 9 Review: Samsung’s game has really gone through a bit rough patch in the last year and a half in India, because the OnePlus wave quite swayed the consumers, as they offered everything that the branded flagships used to. Plus, they are very much within the limits of their price tags. Still, the flagship standards are defined by Samsung Galaxy phone series, especially the S(s) and Note(s), and in that too, the Note series has greatly set a bar in terms of offering premium quality and performance, which gets incomparable, when it comes to superiority and a sense of luxury too! And now, the new addition to the elite club of Samsung flagships is here, the Galaxy Note 9. Will it prove to be a huge success in terms of snatching back the ‘title of selling most flagship or premium phones in India’ from OnePlus, who just became the top company to do so, earlier this summer, beating Apple and Samsung? 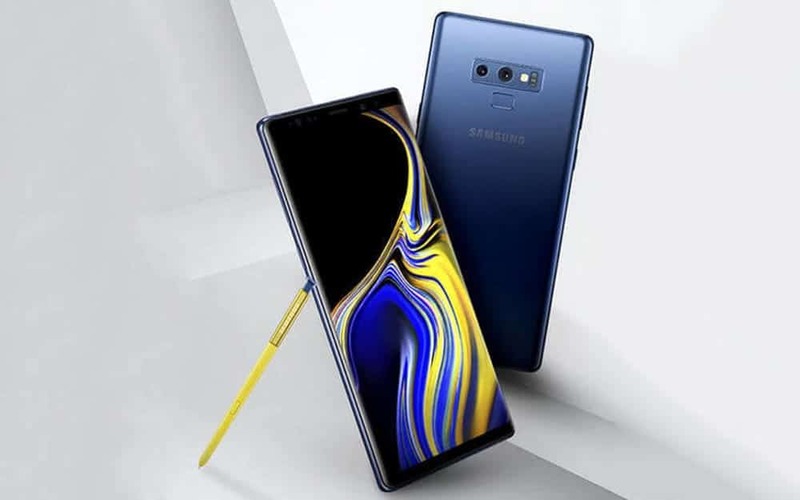 What’s special about this new Note 9 which will lure those, who aren’t shy in shelling out heavily from their pockets? Let’s find out. This segment itself is a highlight for Samsung’s Note phones and Samsung Galaxy Note 9 is no exception to this. It is, as expected, gorgeous to look at. Made entire by metal, the back is just beautiful and bends into the rear cameras, for giving a stellar gaze. Edges are great too, providing the sides an even smoother display and softness when holding the phone. Overall it’s a seamless design experience you get whenever it’s in your hands-speaks for itself! Then the bigger thing strikes off, the display and quality. 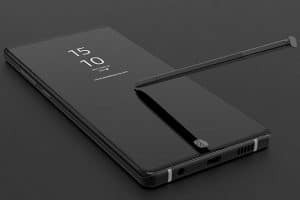 Again, the Note 9 trumps here too with a 6.4inch (16.20cm), bezel-less, Quad HD+ Super AMOLED screen, with a huge resolution of 2960x1440p and a very high pixel density of 516PPI. Whether you are in direct sunlight or dark environment, visibility and color reproduction will be top-notch. For not distracting your eyes, the Iris scanner and sensors are hidden on the top of the front screen! Other things Note 9 offers in its chassis is the hybrid-SIM slot (a fortune these for microSD card lovers). Though the Note 9 already comes with inbuilt 128GB of massive capacity (base variant, while the other one comes at 512GB); but you know, the preferences! You can either use two SIMs or one SIM and one microSD card. The charging port is a Type-C one (common and mandatory now) and you can connect it to a Type-C USB adapter (which you get within the phone box). Plus, the relief is the presence of the 3.5mm audio jack, which means no compromises have been made in terms of features. And the even better thing is that you also get a fast charger for this larger battery device, considering that the battery is huge at 4000mAh. So, if there’s a need to get some life for quick action, you can rapidly do it. Well, the phone lasts more than a day-so important. There’s a separate Bixby button too, on the left for using Samsung’s own AI assistant (like Apple’s Siri). Music is love for the youth today and Samsung knows it, considering which they have given Stereo speakers in Note 9. It only means one thing-more richer, fantastic listening experience for you. On the bottom right, in the corner, there’s the S Pen also which has also been upgraded as a ‘Bluetooth device’ now. That is, you can control your phone just via the S Pen. Projecting or casting your presentations, pictures, and movies on a larger screen will be much easier now, and the Pen can also be used a normal writing instrument too, like making notes, or documents, taking pictures only with the Pen’s command! The Note supports WiFi, Bluetooth, Wireless charging, Dual-SIM (VoLTE on both), GPS and other necessary features. Network speeds can go up to 1.2Gbps. Calling via voice or video is exceptional, with no hindrance (unless the network quality itself is disturbed). There are two versions of Note 9 available; the one with 6GB/128GB storage and the other one at 8GB/512GB storage. It simply adds up to the vastness of capacity you can get through this device (equivalent to your PC’s hard drive). Also, the limit to which you can expand the storage is a mammoth 1TB! On the software front, the phone comes with the latest Android Oreo 8.1 out-of-the-box and layered with Samsung’s own Experience OS 9.1. Surely it will soon get the Android Pie 9.0 update also. But the strength for everything that Note 9 does seamlessly, comes from the Exynos9810 chipset (Samsung’s flagship processor) which drives the devices through any task you throw at it. Heavy games, camera use, scrolling the pages, listening to non-stop music and what not! So, on the performance part, it can put the rivals to shame. Note 9 offers a great camera experience. This is the point where Note 9 takes it all, to a whole new level. You won’t find a weakness here because it’s just got more advanced at capturing everything you love to see through your eyes. The dual-rear setup of 12MP (f/2.4) + 12MP (f/1.5) camera are capable of 2x optical zoom and the wide angle lens combined with a telephoto lens, can take breathtaking shots. Samsung’s Live Focus makes even more enriching to take the portrait in a way they should look like-edge-to-edge, for which there is dual OIS to maintain the sharpness of pictures. Low light photography is also a treat on Note 9, which also has low-light portrait mode! You can manually adjust the background blur also, which only makes it more fun to use the camera, which is simple for anyone to operate. HDR imaging also supported for low-light. The ‘rear-camera Scene Optimizer’ can detect a subject in the frame which you want to capture, so it means that the camera lenses know what its seeing, similar to your eyes. It can detect more at least 20 different subjects (like flowers, trees, pets, humans, mountains, sky, text etc). 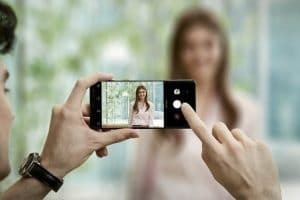 Smartness of the camera will be felt when you mistakenly take blurred photos and the camera will adjust them itself, like blinked eyes shots, lens smudge, and distraction. It will only take the photo which you want and notifies you if you have committed a mistake. The front camera of 8MP also takes sharp portraits and amazing selfies. And yes, you can do this with your S Pen too (from a distance of around 10 meters!). Videos are fun to shoot, with Super Slow-Mo (up to 960fps), and 4K resolutions are just like any other resolution (can shoot 4K at 60fps easily), that is, absolutely great, with the presence of stabilization. The Note 9 with 6GB/128GB is available for around Rs.67,500 and the one with 8GB/512GB is being offered at Rs.84,900. Overall, it feels like a new life in the Note 9 and many will just underrate it, being just a mere addition to the already present line-up. But it’s more than that, and anyone who uses it, won’t be dejected on any aspect. It’s already a month now that phone released in India, and how it will fare among the ‘premium category’ in the upcoming months, will be interesting to see. 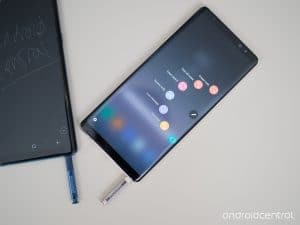 Note 9 is a great phone, with everything great about it-unless you look at the cost, which is acceptable for the luxuries it offers. If you have a budget, for anything, you should go for it.